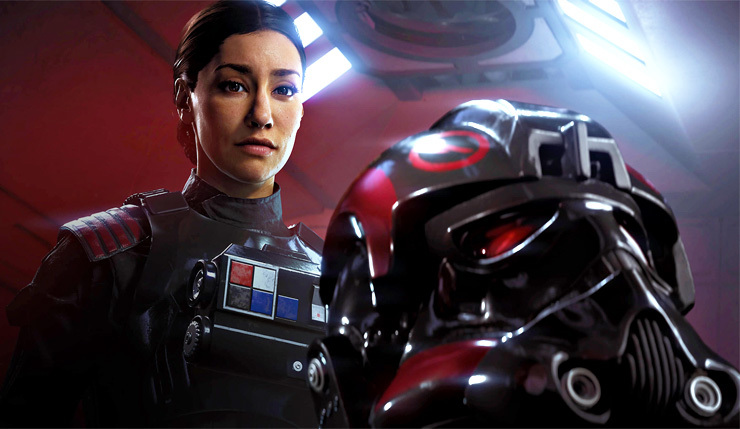 In an interview with VentureBeat, EA Motive’s Game Director Mark Thompson praised the technology after using it to develop the single player campaign of Star Wars Battlefront II. Yeah, the technology is pretty strong. We haven’t been held back by what we could achieve. The execution we have in the software is as close to the vision as I could imagine. And the process is, as I’ve seen it unfold with different technology and different engines—Frostbite is great at cinematics. The stuff we do looks fantastic. EA has a very good setup for facial capture and other technology. Working with the actors to get great performances—we worked with a fantastic performance director who has a great naturalistic kind of direction style. He worked really well with the actors. He directed the whole thing almost like theater, theater with a thousand cameras capturing everyone’s micro-movements on very minimalist sets. I’ve seen some minimalist theater, and it’s very much like that. We get very natural performances, which is important for something that’s going to be realized through this technology. It needs passion and soul and character and humanity behind it, so that when you get to digital back end of making it look realistic and cinematic, all of that stuff comes through. EA Motive, founded in Montreal by Jade Raymond of Assassin’s Creed fame, was originally supposed to help Amy Hennig’s Visceral Games on their Star Wars project. Now Visceral has closed, though, and the studio’s work on Star Wars Battlefront II is more or less concluded, they’ll be focusing on their new action game IP which was recently praised by Electronic Arts CFO Blake Jorgensen during the UBS Global Technology Conference. We have a team in Montreal that is building a brand new action franchise, probably for our Fiscal Year 2021 that also looks fantastic and very exciting. A new game, with a lot of new interesting gameplay that I don’t think anyone’s ever seen before.